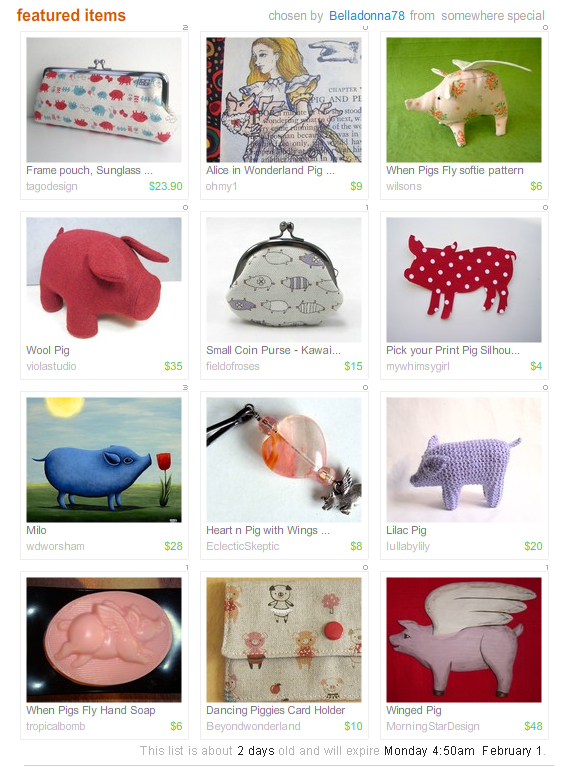 A darling pig-themed (with a little penchant for flying pigs) Etsy treasury from Belladonna78 featuring LullabyLily Lilac Pig. The light when snow clouds are shielding the sun seems to wash the colors out of everything in a lovely watercolor way. Hello Pastel Slug Tribe in washed-out, palest pastel colors. Tiny shades of Spring in the undergrowth.